WOW, Sarah, these colors pop! LOVE how this turned out! So cute! 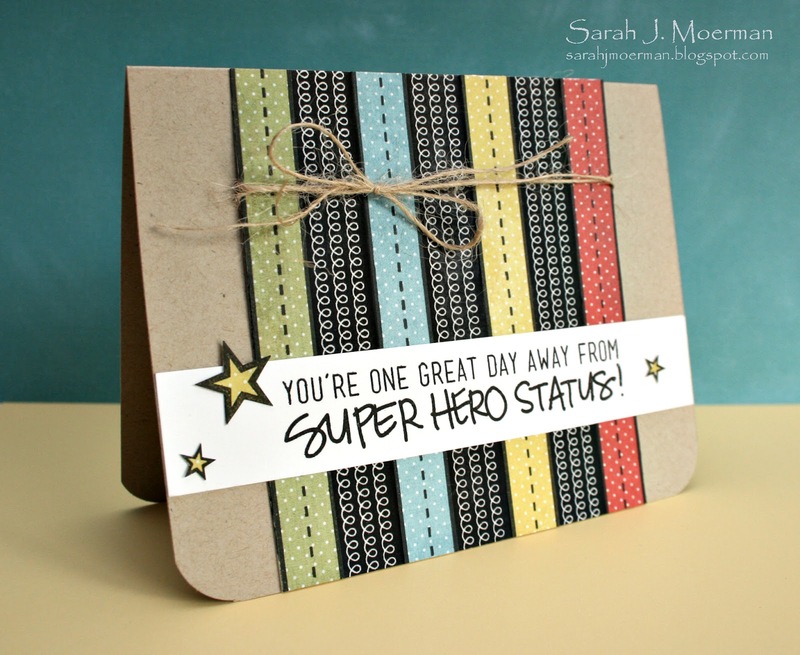 You are a Super Hero in my eyes.Margaret K.
Absolutely awesome card! Love it! Love this card! The alternating stripes are great! OOOOOooooo, I really like the colours on this card - it really POPS! Great job! Don't know how I missed your blog the last little while, Sarah...but I'm so glad I found my way here again!! LOVE what you've been doing!! You amaze me with all the different styles you're able to pull off so effortlessly. This is such a fun card! 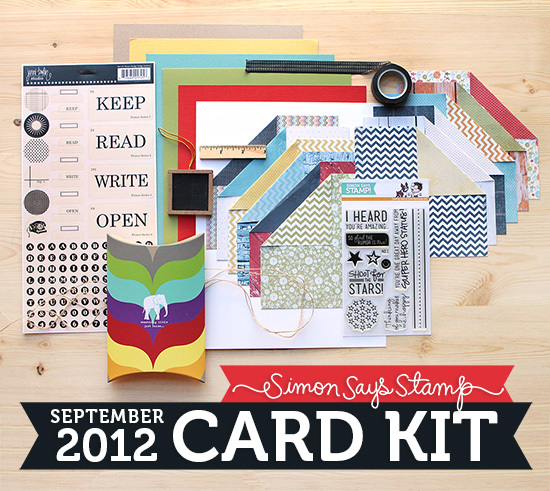 I love the stamping on patterned paper and the contrast with the washi tape. And such a cute sentiment!! Loving this month's kit...I think you may have just given me the push I needed to subscribe :) Thanks for sharing - you're such an inspiration to me!! Very cute card. Love all the colors.